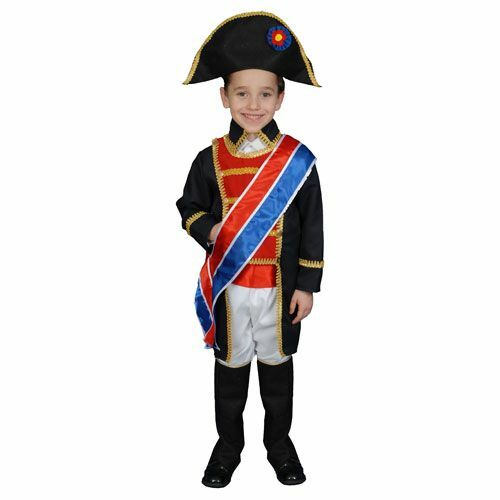 Comes with the following pieces: Long Tailcoat Jacket Pants Belt Hat Boot cover and Sash. Great for Halloween or any other occasion. UnbeatableSale.com offers the most incredible deals on the latest furniture, electronics, gifts, health, and baby items. 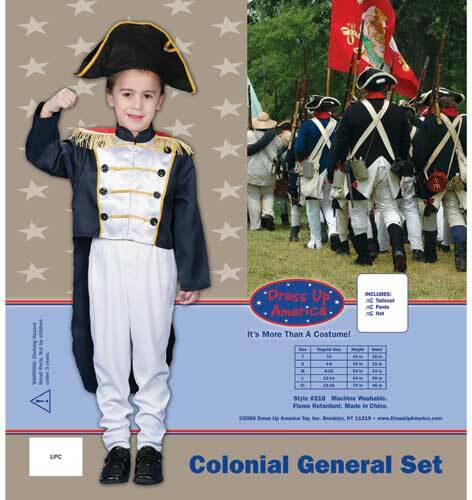 Our low price guarantee assures you that you are getting a competitive, low price on this great Dress Up America 378-L Napoleon Costume Set - Size Large 12-14. Our everyday marked-down price is $26.20, $1.31 less than the retail price you'd pay at most stores. Want to save even more? Look for items marked FREE SHIPPING for free shipping within the continental United States. At UnbeatableSale.com we are committed to protecting the privacy of our customers and using personal information responsibly.